Prayer is a powerful thing--especially when you're out of options. 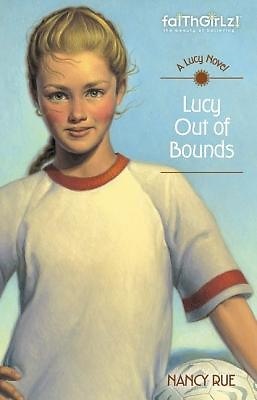 Lucy is a feisty, precocious tomboy who questions everything--including God. Understandably, especially after an accident killed her mother, blinded her father, and turned her life upside down. It will take a strong but gentle housekeeper--who insists on Bible study along with homework--to show Lucy that there are many ways to become the woman God intends her to be. It seems like everybody's got it in for Lucy Mora's gone boy-crazy for JJ and will stop at nothing to cut Lucy's friendship with him out of the picture. A land developer wants the soccer field, and the town council just might take him up on it. And a wildcat is stalking Lucy's house cats. Worst of all, she's in trouble with her dad. Where can Lucy turn when it seems like nothing's going right?